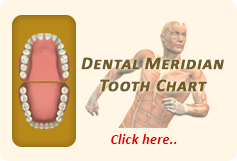 Millions of Americans deal with temporomandibular joint problems, also known as TMJ disorder. This joint hinges the jaw and allows patients to open and close their mouth. It is essential for eating, chewing, biting, and speaking. However, there are times in which it may become a concern. Patients with TMJ disorder may experience muscle problems and discomfort, as well as unnecessary wear and tear on the teeth. There are better ways to handle the condition than with pain medication alone. Treatment options may vary depending on patients’ needs and the severity of their condition. Developing a treatment plan right for each patient requires an extensive dental evaluation. This may include both an examination and x-rays to locate the source of the problem and correctly diagnose the condition. A medical history may be done to determine if the condition is an underlying symptom of anything more serious. Once patients have been diagnosed with TMJ disorder, treatment options are discussed. Patients in the Troy, MI area who visit Dr. John L. Aurelia have a number of solutions available to them. For milder cases of TMJ disorder, patients may benefit from giving their jaw time to heal. This can be done with ice packs, medications, and a soft food diet for several weeks until improvement is noticed. Pain medications can be used for a short time as these other options are attempted. Patients may also benefit from physical therapy and specific jaw exercises. This can help in working the muscles to strengthen them. Again, patients will want to discuss this with their dentist to determine if it is the best method of addressing their symptoms. In most cases, patients with TMJ disorder can benefit from oral appliance therapy. Dentists can provide patients with custom-made oral appliances, which are worn to help ease the tension of the jaw and reduce pain and discomfort of the muscles. This also helps protect the teeth and keeps them from becoming damaged from unwanted clenching and grinding. This activity can result in extensive wear and tear on natural teeth as well as on restorations such as crowns, bridges, and veneers.